When a nuclear missile launched by a rogue North Korean faction explodes in space, the resulting shock wave destroys most of the world’s satellites, throwing global communication into chaos. U.S. military satellites, designed to withstand such an assault, show that two more missiles are sitting on launch pads in North Korea, ready to be deployed. Faced with the threat of a thermonuclear attack, the United States has only one possible defense: Able One. Scared the BEJESUS out of me. Loved the book but it is only fiction because it hasnt happend YET! This novel was completly beliveable and was acualy late for work because I couldn't stop listening. I only gave it 4 stars because I thought they raced through the book too fast. Should have been longer and thought much more could have been added. A wonderful listen all-in-all and highly recomend it to all listeners. 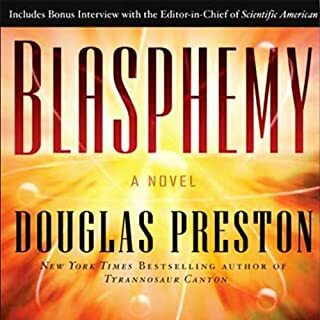 I have read all of Douglas Prestons books and I would have to say this was my favorite. Yes the plot is a bit far fetched but isin't that what fiction is all about? Narrator does a great job reading and the voices change as the characters do. I'm not a religeous person myself so the God vs. Science thing didn't bother me at all. The characters were well thought out and have read it (listened to it) twice now and loved it both times. This is a must read book if you love Sci-Fi and the the whole God vs. Science battle. Great Job Mr. Preston and Mr. Sowers! 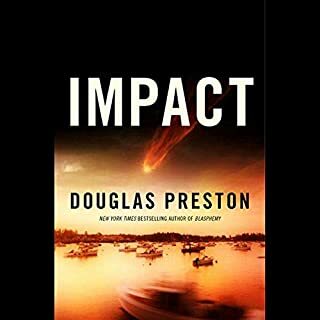 A brilliant meteor lights up the Maine coast and two young women borrow a boat and set out for a distant island to find the impact crater. A scientist at the National Propulsion Facility discovers an inexplicable source of gamma rays in the outer Solar System. He is found decapitated, the data missing.High resolution NASA images reveal an unnatural feature hidden in the depths of a crater on Mars and it appears to have been activated. Sixty hours and counting. Thought it was a great book. Yes there is some pretty bad language in it but I cant say it dimished the book. Great plot and the Scott Sowers did a wonderful job reading. The voices could have been changed more for the diffrent characters but I had no problem distinguishing when he read as another person. Guess the accents helped a bit. 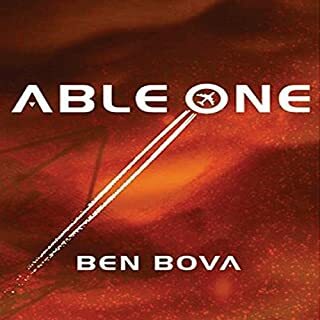 I highly recomend reading this book if you are a Sci-Fi book fan!